Martha is the mother of long time & active member Robert “Bob” Babb. Many will remember Bob & his wife Sylvia from various reunions. Martha Ann Dessell Babb, 81, of Cranberry passed away unexpectedly Friday, June 13, 2014 surrounded by her family. Born June 3, 1933, in Pittsburgh, she was the daughter of Roy and Helen Bradley Dessell. On June 12, 1954 Martha married Richard Babb with whom she celebrated over 50 years of marriage before his passing in 2007. Martha was a loving mother and grandmother and caregiver to her husband until his passing. She enjoyed watching the Pittsburgh Pirates and Steelers and enjoyed quilting, sewing, reading and water aerobics at the YMCA. Martha is survived by six children Robert Babb and his wife Sylvia of Pittsburgh, Jeffrey Babb and his wife Vicki of Cranberry, Sally Dwyer and her husband David of Coatsville, Gary Babb and his wife Darla of Canfield OH, Marcie Wallace and her husband Brian of Pittsburgh, and Matthew Babb and his wife Jen of Easton CT. Also surviving are nine grandchildren Mark Babb, Ben Babb and his wife Leah, Ian Babb, Sarah Kulling and her husband Daniel, Daniel Dwyer, Joshua Dwyer, Helen Dwyer, Emily Wallace and Scott Wallace, and a sister Sally Love. Along with her parents and husband Martha was preceded in death by a brother Dale Dessell and a brother in law David Love. The family will receive friends from 10 to 11 a.m. Wednesday, June 18, 2014 at the Faith Lutheran Church, 1759 County Line Road, Venus. Funeral services will be held at 11 a.m. Wednesday in the church with the Rev. John Wood officiating. Interment will follow at St. Marks Cemetery in Kossuth. The McEntire-Weaver Funeral Home, 504 East Penn Ave., Knox is in charge of arrangements. In lieu of flowers, the family requests memorials are made to American Heart Association PO Box 15120 Chicago, IL 60693, the National Kidney Foundation Finance Department 30 East 33rd St. New York, NY 10016 or the charity of one’s choice. To view and share photos please click on the MEMORIES GALLERY. Below is a Session proposal for a conference on Western Radicals, featuring the works of Sanora Babb, among others. 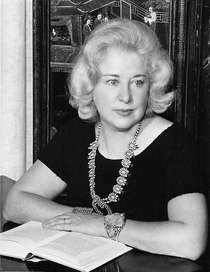 Sanora is, of course, the would be famous, author who’s work An Owl on Every Fencepost was pulled from release after the blockbuster reception of Steinbeck’s Grapes of Wrath. I mentioned this at the reunion and wanted to post for any that were interested in attending. If you are interested in attending or to learn more about the conference follow this link: http://www.asanet.org/am2014/am2014cfm.cfm. WCYB, an NBC News Affiliate in the Greeneville, TN area has picked up our story about the homestead reconstruction. The story makes it sound as though the home was just reconstructed in the last few weeks, which isn’t accurate. However, it does include several views of the rising chimney, which is almost as high as the roof line at the time of filming. There is also one last step before it is occupied, which is a new permanent roof, which is to begin as soon as the chimney restoration is complete. The historical inaccuracies he mentions in the story is really mostly just some window panes that are of more modern glass. We will go back and replace those as funds are available once it is finished. Finished…now, there’s a nice word! The end is in sight! Just a quick blurb. I received news that the Fox Memorial Park advisory committee is winding up negotiations with a new Operative Mason (the kind that lays bricks). A Speculative Mason (The kind of Da Vinci Code fame) plans to assist. 🙂 I’ll have more once the contract is finalized. Background: The Chimney and Permanent Roof are the last two steps before the 1787 Seth Babb Homestead can become a gallery for the Nathanael Greene Museum in Greeneville, TN. We have high hopes to finish the work this summer. Keep your fingers crossed! The Babb Family Association’s reunion is just 54 days away and there are 9 spots remaining. This year we will gather in Philadelphia and walk the steps of our founding fathers. We also have a busy day planned for our field trip to Wilmington and the surrounding area. If the stars align properly, we just might be dedicating a DAR marker for one of our Revolutionary War ancestors along the way. 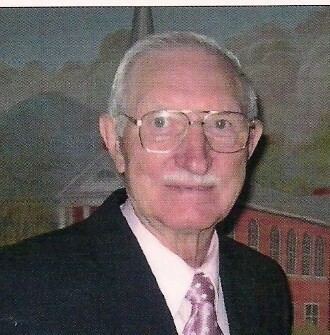 Arden – Dr. Joe R. Babb, 84, went home to be with his Lord on Friday, April 25, 2014. Joe was born Oct. 30, 1929 in Duncan, SC, the son of the late Grover and Sallie Babb. He also was preceded in death by brothers Grover Verdeir Babb and Wilmore Lake Babb and a sister, Thelma Odom. Joe graduated from Furman University and Southeastern Baptist Theological Seminary. He was the former pastor of Wayside Baptist Mission, Startex, SC; Cameron Baptist Church, Cameron, NC; Morningside Baptist Church, Asheville, NC and North Henderson Baptist Church, Henderson, NC. He was the former Director of Missions for the Cullom Baptist Association and the Tennessee River Cheoah Baptist Association. Joe is survived by his wife, Mildred June Babb; three sons, Richard Babb and his wife, Pam Tidwell, Donald Babb and his wife, Cathy, and Dr. Timothy Babb and his wife, Barbara; a sister, Maudine Jackson; a brother-in-law, Bill Bolding and beloved by six grandchildren. A memorial service will be held at 11:00 am on Saturday, May 10th at Morningside Baptist Church. The family will receive friends for one hour prior to the service at the church. In lieu of flowers, donations may be made to Morningside Baptist Church, 14 Mineral Springs Road, Asheville, NC 28805 or to ABCCM, 30 Cumberland Ave., Asheville, NC 28801.